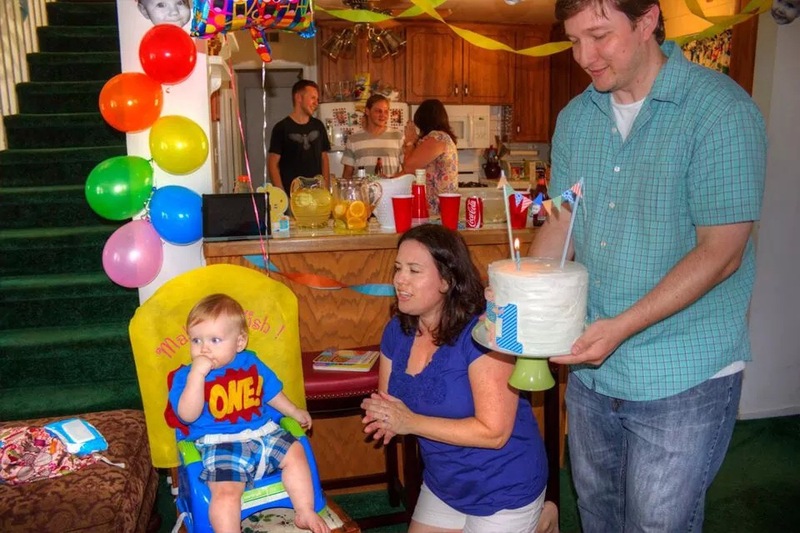 Rainbow Cake – Crazy for D.I.Y. August 9, 2014 October 27, 2016 • Crazy for D.I.Y. For each set of 2 colors I just used a basic white cake boxed cake like Betty Crocker. I’m bummed I forgot to note which one exactly I used. 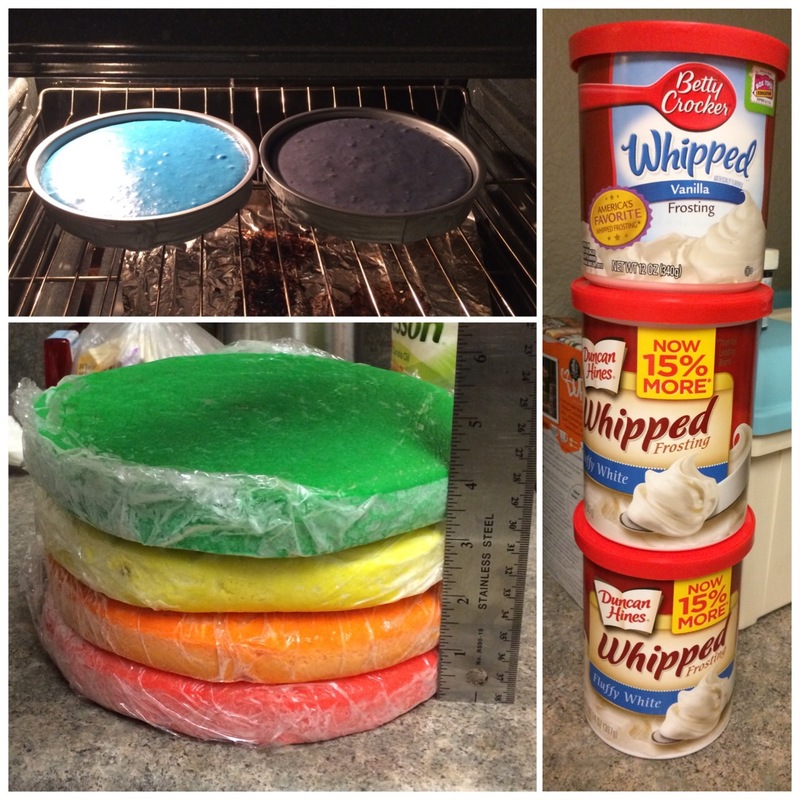 Split the batter in half and dye each half a color. I used the Wilton gel dye because of its vibrant colors. Once, the 2 halves of batter are dyed pour then into a non shiny 9″ pan. I also used cool strips for the outside sides of the pans. This helps the cake to bake evenly and saves you the need to slice off a muffin top. I got perfect cake with the oven set at 325° @ 22.5 min and checking at 20 minutes. 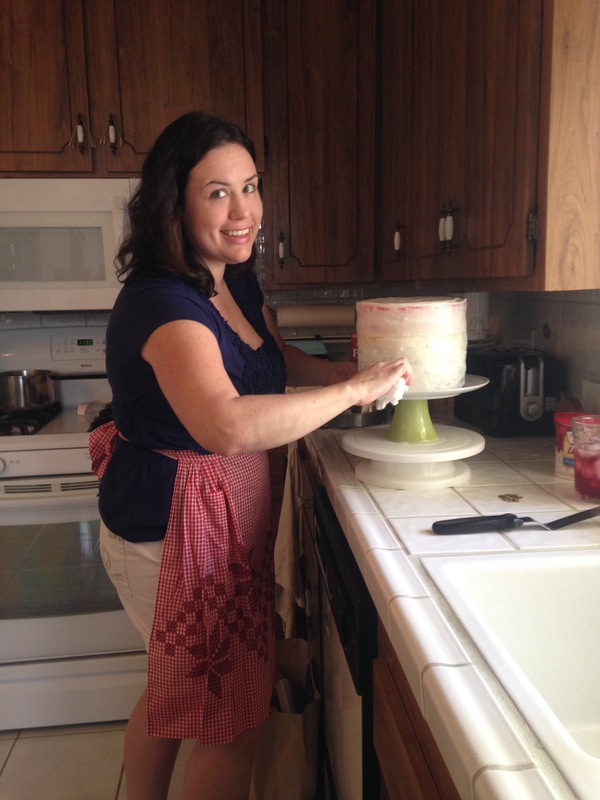 When fully cooked you will get 1 to 1 1/4″ height for each cake layer. I used 3 boxes and got 6 colors. After you’ve cooked 2 layers stick them (pan included minus the cool strips) in the freezer. Once frozen (about 1/2 hr) take the cake out of the pan and wrap them individually in plastic wrap and place back into the freezer. You want to start the cooking of the layers a couple days in advance. Half hour before the party starts, start with first layer and place on the cake plate. Add a relatively thin layer of whipped icing after each layer. Crumb coat the entire cake and then the final layer to your desire. The cake plate was on a cake turner and it was so much easier to ice the cake!!! I’m all about boxed cake and icing! It’s so much easier and everyone loves it. Also, remember that your guest might freak out when they witness what all that dye does internally. Lol. 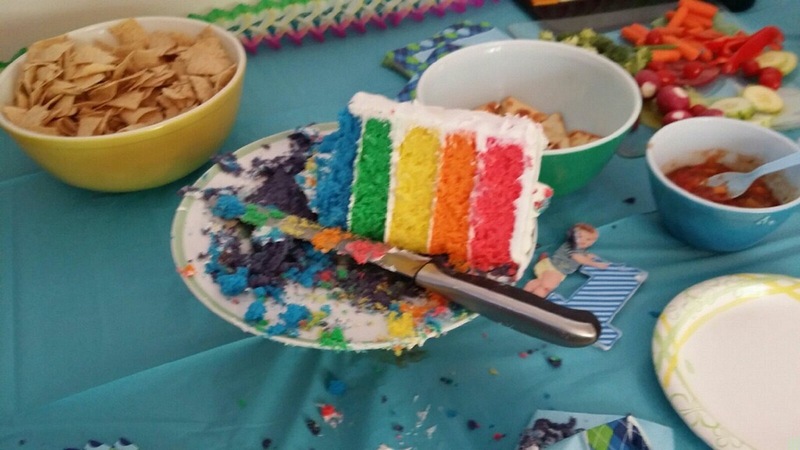 BUT it’s so fun to eat rainbow cake. 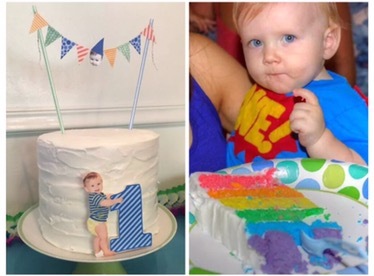 Posted in Cake decoratingTagged birthday, cake, diy, easy, rainbowBookmark the permalink.